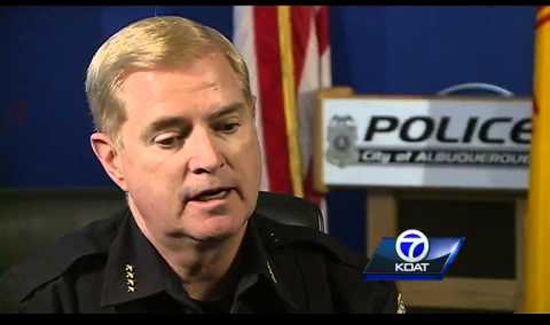 In Albuquerque, New Mexico recently, Chief Gorden Eden announced an internal investigation involving use of force by his officers. What’s unique about the situation is that announcement took the form of a YouTube video and traditional media appears to have shut out entirely. “Possible misconduct—excessive use of force—by two of our officers was recently brought to our attention by an APD employee,” Eden went on to say. “We are committed to continued accountability and transparency,” he concluded. Public information release via YouTube seems to be a new strategy, at least in Albuquerque. Eden has held only two press conferences so far this year: one involving an injured officer and another that was held after an officer died during a training exercise. Vindication!!!!! I have been training the Texas Chiefs that they do NOT NEED the mainstream media. I recommend adopting the Marshawn Lynch attitude of a press conference. Example Quote: “Our agency has adopted a policy of total transparency with the public. All information we can legally disclose at this time has been released to the public (including media) through social media.” Repeat as needed!!! The press has no special powers or need for more info – I love Chief Gorden Eden for brave stance and role modeling!!! Insert victorious laugh and fist pump HERE!!!! !